Corn. It has always been important and with our current food prices coupled with ethanol production and use we notice its price fluctuations. This autumn's corn harvest is beginning to ramp up. 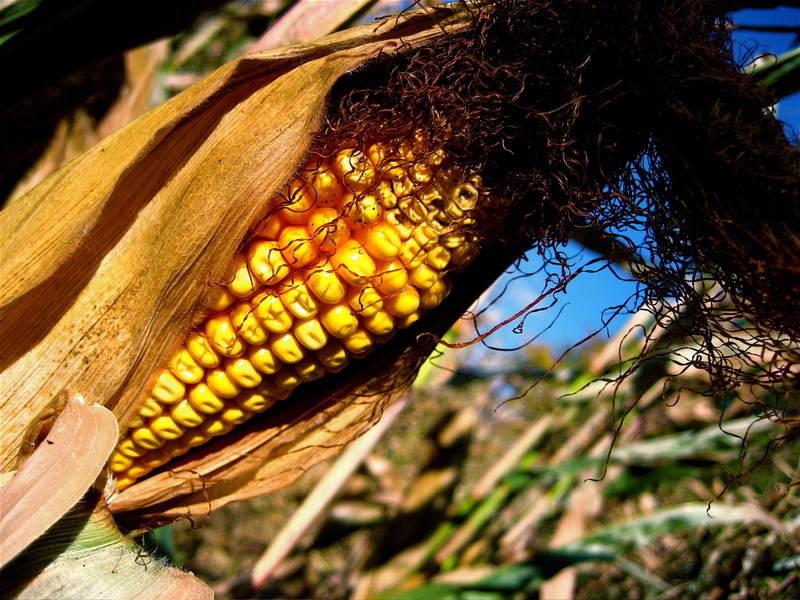 Corn harvest typically begins in early- to mid-October and lasts approximately a month. This particular photo was taken near Chaska, Minnesota where the harvest has been slow thus far. When I grow up, I wanta be cleaner-burning E85! And Bob, I mean Anonymous, at under $4.00/bushel for corn and still falling Ethanol just got affordable to produce again.